All about Sakura Gakuin, news, lyric, subs, etc. Club that combines Idol + Metal. They are the second club to debut from the group. They first song Do・Ki・Do・Ki☆MORNING (ド・キ・ド・キ☆モーニング) appeared on Sakura Gakuin debut album Sakura Gakuin 2010 Nendo ~message~ in April 2011. 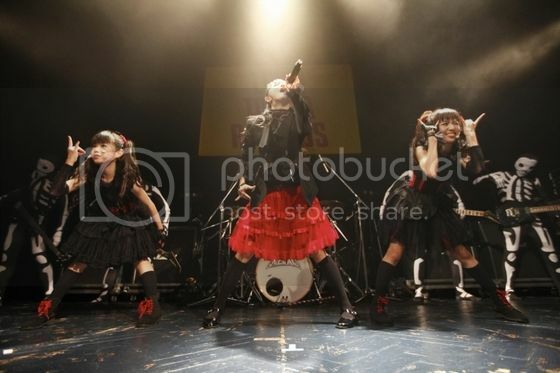 In October 2011 they released DVD containing the MV of Do・Ki・Do・Ki☆MORNING. Copyright © 2012 song for smiling and Blogger Templates.